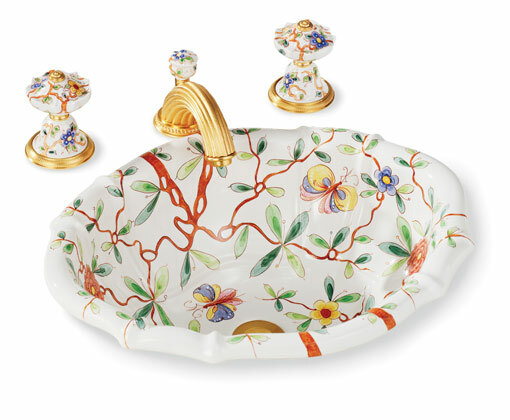 A shelter-magazine-reading marathon this weekend led me to these incredible hand-painted Chinoiserie sinks from luxury hardware and bathroom accessories designer Sherle Wagner. 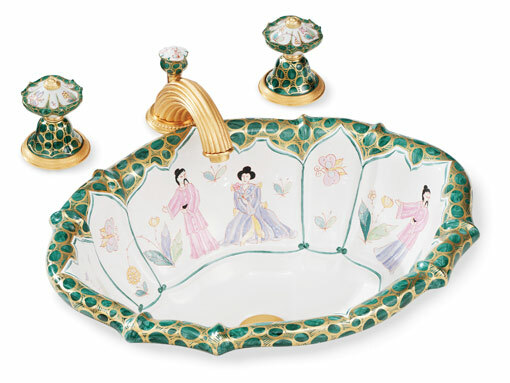 I would love to use any of these in a powder room...can you imagine designing a space around one of these?? I adore finding special pieces like this that create one-of-a-kind spaces. 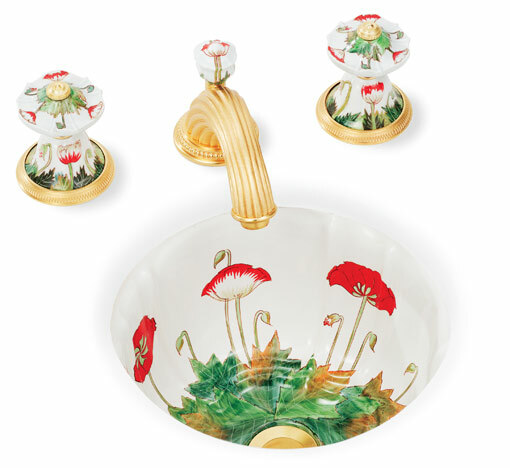 If you installed one of these pretty sinks, all your bathroom would need is a striking paint color and some nice towels. Granted, I'm sure these sinks are not in my budget (or the budget of most bathroom renovations) but I'm happy to know that they exist on this earth and that someone out there actually has one. And hopefully one day that someone will be me! Love these and yes, you could design a bathroom around one! I did. 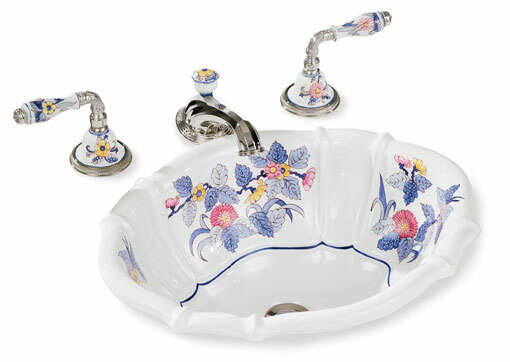 When we built our house I had a blue and white Chinese toile sink installed in a custom sink base in a guest bath and I still love it! Gorgeous beyond; I love the second, they are works of art! they're pretty but always feel so '80s' to me when I see them in person. Maybe stop at the handles? Both handles and sink are overkill? I don't know.... Just my 2 cents. Agreed! 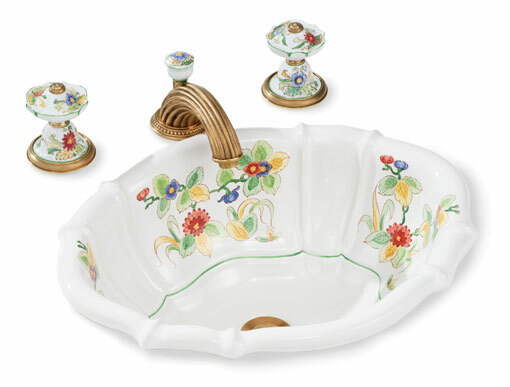 I like the basin the most but I think I would like the complete look more with non-matching handles. 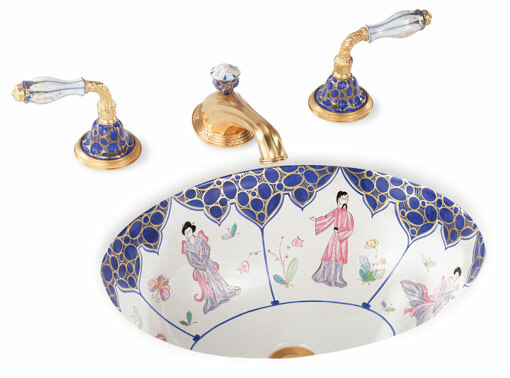 I found an artist who will paint your design on a sink (www.handpaintedtiles.com) and now have one in my powder room. Everyone raves about it and I enjoy taking some credit for designing it. 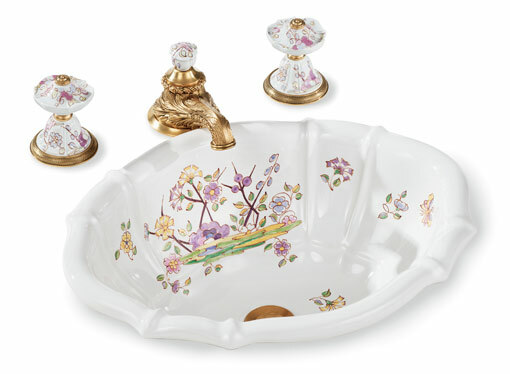 My hubby bought me the 3rd sink down called summer garden on letgo for $250 with the basin, pedestal and faucets! I can't wait to design my powder room around it!!! !